It seemed like the perfect example of the American dream. The England-born boys of Mini Bar come across the Atlantic and found themselves signed to a Universal Music-owned label, making a record with acclaimed producer T. Bone Burnett. Instead, the band has survived six years after the release of the Burnett-produced Road Movies. Even if they had to haul their own equipment and forgo a tour bus for a stuffy van ride, at least they could pursue what they wanted to pursue. What it seems Petty and his mates wanted, more than anything, was the freedom to find their own way. It’s a pattern that can be spotted in Petty’s youth at least. Growing up he traveled the world, latching on for a series of extremely varied jobs. While traveling in Australia and New Zealand, Petty worked briefly selling eco-friendly ice cream before taking a serious turn to do care work for a man with brain damage. Pleased by the latter experience, when he returned to England, Petty began working as a counselor to heroin addicts. That’s when his foray into rehabilitation work met an abrupt end. What truly made Petty happy was playing music. So he picked up gigs playing covers in a pub. What didn’t make him happy was playing the same tunes like “Brown Eyed Girl” and “American Pie” every night. Those forgettable nights playing to a pub crowd were part of the reason that Petty was so happy to come to America and land that record deal. But today, long since the end of said deal, he might be even happier. Even though he is still playing a weekly gig every Sunday at Rene’s Café in Santa Monica. The reason for Petty’s current happiness isn’t so much tied to weddings or pub shows, as it is to the fact that he and his band now have total creative control and with it, they’ve put out a new album aptly called Desert After the Rain. What’s more, now they get to play it live while opening for, and playing with, Pete Yorn, an experience Petty ranks among his most enjoyable. Right with the time the band opened for Wilco at the Fillmore in San Francisco. They’ve had some good ones with Yorn on this tour as well. In Cleveland, the band shared the stage with Aqualung and Yorn to cover the Rolling Stones’ “Dead Flowers.” The tour hits D.C. this Tuesday, March 20 when it comes to 9:30 Club. As Petty refers to this current tour as the band’s busiest time in a long time, he’s hoping to capitalize on all of the time playing together to record another album once it wraps. 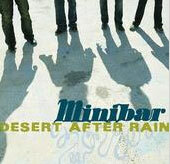 Until then, Minibar will keep doing what it has to do, with no regrets for their short-lived time with Universal.